The presence of Android Status Bar can be a problem for some applications that do not activate the full screen mode, such as Amazon Kindle ebook reader. 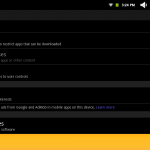 We have added the ability to hide and show the Android Status Bar in our Arctools application. This solution requires Arctools version 0.66 or a more recent version and a rooted firmware. We recommend that you install before going further, you install an application that can substitute the regular Android Status bar. A good option is Button Savior (Root) that is available for free in Google Play/Android Market. 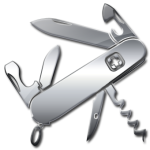 You will need latest Arctools version (0.66 or later). 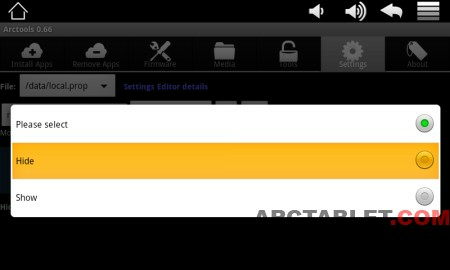 You can download and install Arctools from Appslib or from here: com.arctablet.arctools.apk. To restore the Android Status Bar, go in Arctools again, and select Show in the list. It did not work in ONDA V811, why? the HIDE status bar and hide button bar functions do not work anymore on ARCHOS GEN8 70 IT 250 GB. I hope you can repair very soon , I need to hide status bar !! !